I hope that all of you had a great winter break. If you stayed home, there was no shortage of excitement. 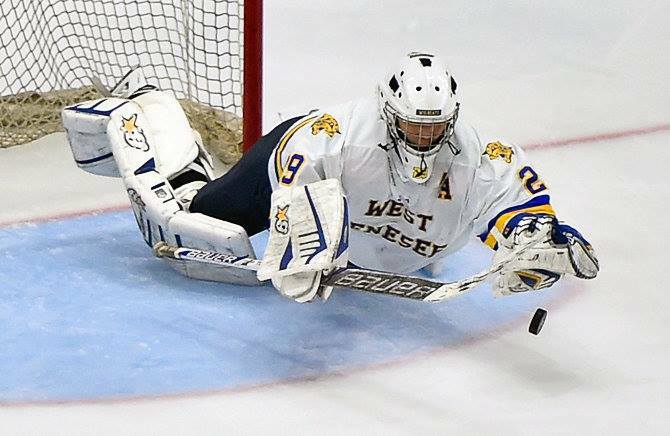 Hockey Team Wins Section III Championship: First up was the Section III Championship hockey game featuring West Genesee versus Syracuse at the War Memorial. 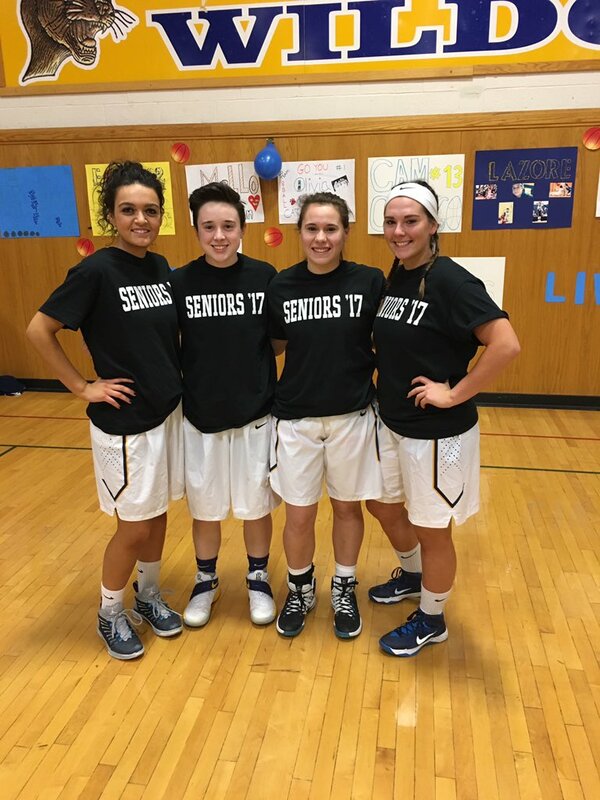 West Genesee was smaller sized but very skilled and determined and Syracuse was very big, fast, and physical. It was a game for the ages. There was a HUGE crowd on hand and the action went back and forth all the way to overtime. With a few minutes left in the overtime, tied at 1, Syracuse took a penalty and West Genesee went on the powerplay. Coach Colabufo called a timeout and drew up some plays. West Genesee won the faceoff and absolutely peppered a superb Syracuse goalie until one rebound got out just a little too far and Jay Considine scooped it up and hit the back of the net. I thought I pulled something jumping so much; and the place went crazy! Congratulations to the boys. They will now play in the New York State Quarterfinal on Saturday at 6:30 p.m. right at Shove Park versus the winner of Section VI. As that game finished, I snuck over to Pavones Pizza to grab a quick slice and spoke to some parents about how lucky we are to have such talented students! Academic Decathlon Competes at States: From there, I waited by the phone as Principal Shannon Coholan relayed scores back to me from our Academic Decathlon Team, who competed for the New York State Championship. The greatest thing about Academic Decathlon is that students from all ability and performance levels compete. After two days of tests and essays, they finished second by the equivalent of one question on one test. Competitors did bring home some medals though and are already planning for next year. Our list of medal winners will be published on the website and social media very soon, so check back. Boys Varsity Basketball in Sectional Semi-Final: After a quick break it was up to Onondaga Community College to watch our Boys Varsity Basketball team take on Henninger in the Section III Sectional Semi-Final game. Again, another great crowd on hand, and the Wildcats fought hard but came up just short to a Henninger team that is on the rise. As a basketball fan, I am looking very forward to the Section III Championship game between Liverpool and Henninger. Looking back at the boys season, they brought life back to our gym. We had two games that filled the gym (well over one thousand seats) so full, that our Athletic Director had to bring in folding chairs. Add a pep band (thank you!) to the crowd, and we are the place to play. I am hoping that we can keep up the energy next year and thank you to our seniors. Girls Varsity Basketball Team Moves on to Sectional Final: Where I am a little perplexed is with our Girls Varsity Basketball team. They are VERY, VERY good and they have been rock solid all season. On Sunday, they played a feisty Utica-Proctor team. What makes this team, and their coach, the most admirable is that they are able to find a way to get to the next level of effort. At halftime, the girls were up 22-21. They came out of halftime and found a way to elevate their play and were able to get the win. They will now play against Liverpool next Saturday, March 4, at 12:00 p.m. at Onondaga Community College for the Section III Championship; something we have rarely played for in the history of West Genesee. What is perplexing is how few people have come out to watch these athletes. We have used social media, announcements, and plain old word of mouth, and while we have had crowds that have been larger than previous years, these girls deserve to have more fans at their games; bottom line. If you can find a way to come out and support them I would personally appreciate it, and I know that the girls would REALLY appreciate it. Hats off to them and best of luck on Saturday! Other NYS Championship Updates: Also, competing in NYS Championships this weekend are Boys Swim/Dive on March 3-4 at the Nassau County Aquatics Center on Long Island and Indoor Track at the Ocean Breeze Track and Field Center on Staten Island. Trivia: To cap off my weekend, my trivia team (teams are made up of seven people) made it to the Syracuse Winterfest Finals, where we finished second to the top trivia teams in the Syracuse area. My wife got the MVP for going head to head against a member of the other second place team in a lightning round that allowed us to take second all alone. Why didn't we take first place? Well, let's just say that I shouldn't quit my day job. A Busy Week: This week is very busy. 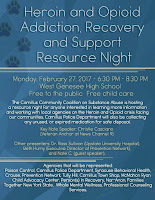 I hope to see many of you at our Substance Abuse Community Resource Night from 6:30 p.m.-8:30 p.m.tonight at the high school. The event will begin in the Auditorium and will feature keynote speeches by award winning news anchors Christie Casciano and Tammy Palmer. Attendees will then be escorted to our upper gym where they can speak to resource providers in our area, and can also turn in unused medication. We will have breakout sessions lasting fifteen minutes each featuring Beth Hurney from the Prevention Network, Dr. Dr. Ross Sullivan from Upstate University Hospital, as well as a person who is in recovery after being a drug addict. After their breakout sessions, they will answer questions. It will be a very worthwhile evening. Saturday, in addition to the hockey game (6:30 p.m.), and girls Section III Championship game (12:00 p.m.), we will be hosting the District Culture Fair. This event is always very well attended and features all of the cultures that our community has to offer. The event takes place from noon to 3:00 p.m., and I hope to see you there! Thanks for reading. That was a lot of information; but isn't it great to be a Wildcat? When I woke up on Thursday, I had no idea what the next four days were going to bring. They turned out to be a movie script about the power and success of public school education, and I got to get a first-hand screening. Planning Strategically: First up was the meat and potatoes of our strategic planning process. The team is comprised of stakeholders from all walks of our school and outer community. We finished the session with some great plans for next year including a more vigorous attack on bullying, a renewed focus on academic results, and a further exploration of multiple pathways towards graduation. GREAT stuff! 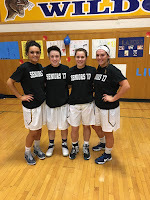 Girls Basketball Senior Night: Then it was on to senior night for the Girls Varsity Basketball team. Four fierce competitors were recognized, and the team continued to do what it has done all season; win with intent. Mary Poppins! Lands at the High School: That night it was also curtains up for the musical, Mary Poppins!. It was everything I thought it would be. From the pit to the stage crew to the actors and actresses, the performance was delivered to the highest level. To say I loved it would be an understatement, and I kept finding myself humming along to the tunes. Check out this video from the musical of Steppin' time by clicking here. Bravo to all! I have never been more irritated about a snow day than Friday. A two and a half hour delay would have done the trick; but we don't have those. 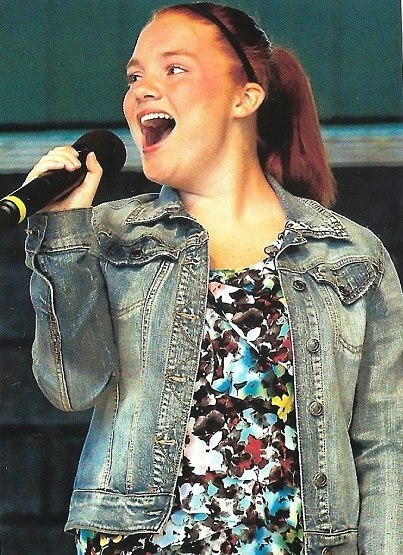 Fortunately, the weather continued to clear up throughout the day, and the musical was able to go on as scheduled. Had that not happened, we would have had a cancellation on Sunday for certain, and THAT would have been a bummer. A Buzzer Beater: Then came Saturday. Another knock your socks off Mary Poppins! performance. At the same time, the boys basketball team won a thriller with a buzzer beater from half court by Malik Zachery, and then things went right over the top. See the video below (or click here) from syracuse.com. 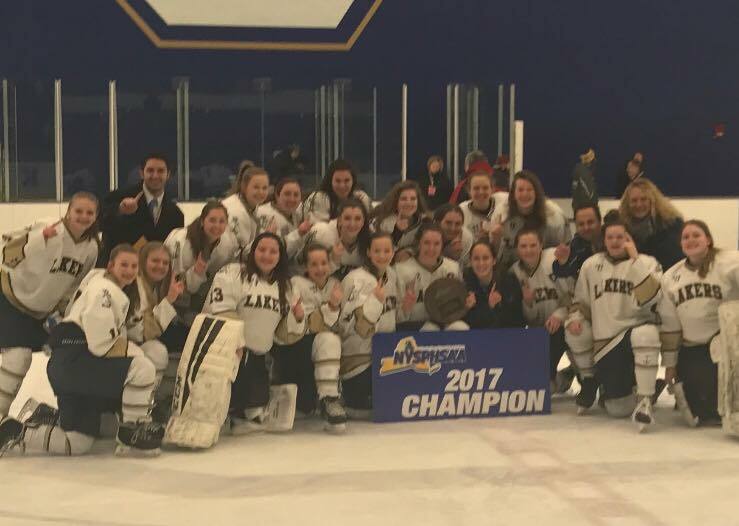 Girls Skate to a State Championship: First, the Girls Hockey team, undefeated on the season, won the New York State Girls Hockey Championship. This made me very proud, because the athletes are part of a shared team with Skaneateles. The effort they have to go through to make it to practice, keep their grades up, and then travel to compete (there aren't many other girls hockey teams locally) shows a true dedication, and I for one sincerely applaud that. Congratulations to them! West Genesee students on the team are Emily Cox, Johna Halko, Katie Halko, Katrina Harter, Lauren Jones, Cecily Kawejsza, Anne Rubel, Grace Schnorr, Jessica Smith, and Heather Tanzella. Thank you for representing your families, yourselves, and our school so well! Post Standard / Syracuse.com / WCNY Spelling Bee. Seriously! First, it was her against other very worthy competitors. Then it dwindled down, and as the last person standing, it was Ava against words. Which words you ask? How about "glitterati" followed up with "cinephile" for the win! 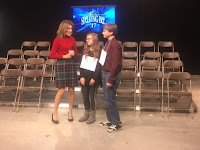 We get to be proud of her and she gets to go to Washington, DC, in May and compete in the Scripps National Spelling Bee; yes the one that is broadcast on ESPN. You can view a video from Syracuse.com below or lick here. If you have paw prints on your car, wear West Genesee gear, or are a silent supporter, take a victory lap (if taking this literally, please follow all posted speed limits). You live in a great community where magic like I have written above, happens due to your support, the efforts of all of the adults who work with our children, and of course, the performance of our students. I wear my blue and gold with pride every day. Unless completely necessary, I will be writing again after the mid-winter break. Thanks and enjoy the week! How we are Viewed by Others: My wife and I have been traveling and getting out more since we have had an empty nest, and we recently befriended three Australians who are in Syracuse to take courses on radar systems at Lockheed Martin. When we asked what they had done to learn about Syracuse, they mentioned going to The Dinosaur BBQ, Destiny USA, and a Syracuse University (SU) basketball game. All three have been in the Australian Air Force, and the one thing they said they were jealous of was how much pride we take in our National Anthem. They observed that at the SU game, and they wished that people in their homeland stood at attention with such pride before their Cricket matches! During our conversations, they said that they had heard about this big game in the United States called the "Super Bowl", so we invited them to our place to watch last night. They were amazed by the game, the halftime show, and the commercials. They have to fly back home later today, but I hope we reconnect the next time they come here. District Strategy Around Bullying: Over the past nine years that I have been here, we have worked really hard as a District and community to curb bullying, both in person and online. 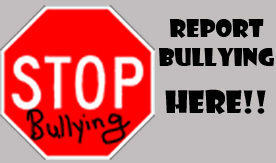 We have been making tremendous headway, but recently, we have seen a small spike in behavior that may not be bullying or harassment by definition (click here to read the rules we need to follow), but it is certainly mean, and needs to stop. It is happening at all levels, and even one instance is too many. My hope is that we are just dealing with the weather, but my hunch is that more and more moms and dads are stressed about things at home, work, and paying the bills. Children pick up on those feelings and get stressed themselves. They aren't quite able to handle those feelings like we can as adults, so they make a mean comment, push someone on the playground, or send a nasty message on social media. These situations are not as common as many may think, but they absolutely happen, and need to be dealt with. This recent increase will pass, but we as a District need to continue to recognize changes in our community, and work to teach students coping skills, how to be held accountable, and how to channel emotions differently. 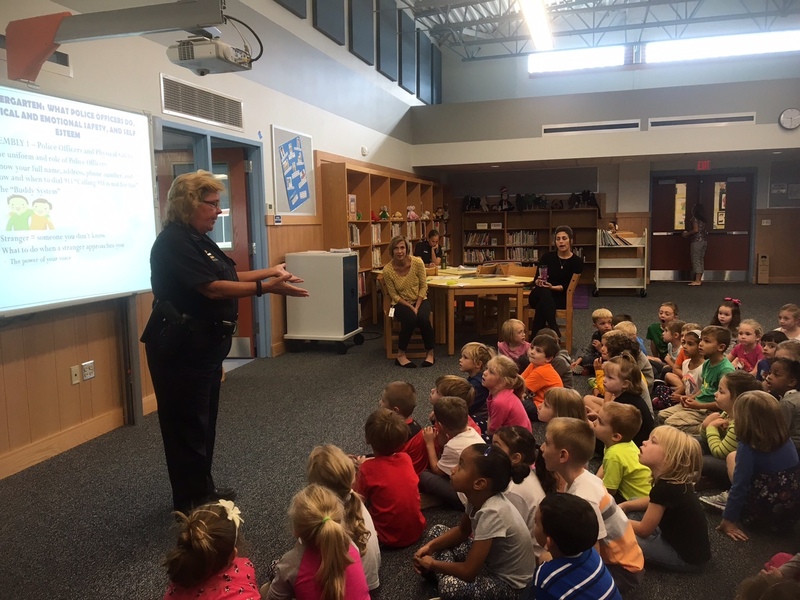 Presently, we use a combination of character education, the CODE program (Community Oriented Drug Education) in partnership with the Camillus Police, Dignity for All Students Training, assemblies, and plain old-fashioned relationship building. 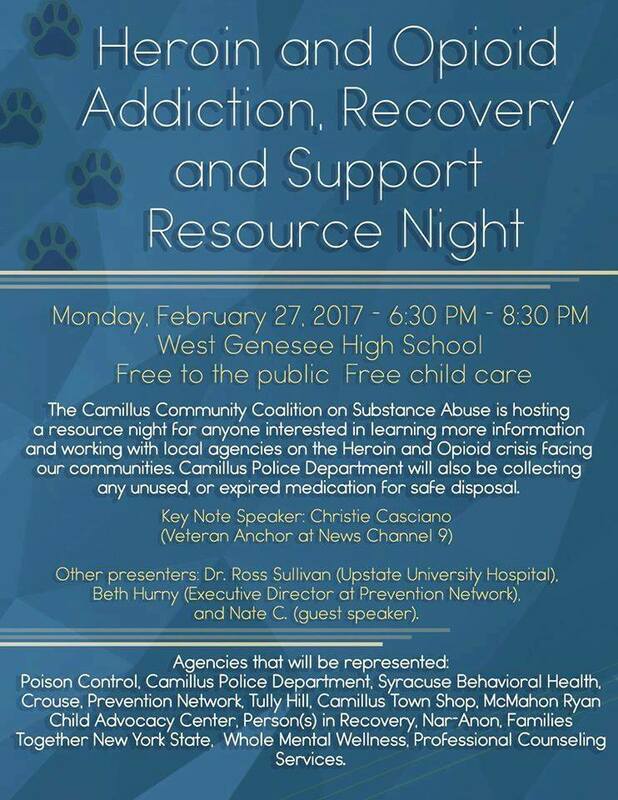 At the same time we have more mental health support than ever before, have rearranged our relationship with the Camillus Police to make our School Resource Office more visible in a positive way, and have been working with service agencies to help parents find support at home. We are a District built on the highest of standards, and in order for those standards to be met, we need to continue to work together. You can help us at home by knowing if your child has a social media presence and if they do, what they are posting to each other. If you have a younger child who comes home to tell you what happened at school, call or contact someone at the school and let them work with you to get both sides of the story, and find a solution. If there is a situation that needs to be brought to our attention please do so, or fill out this online form by clicking here. Not every situation resolves itself to the satisfaction of a parent, and sometimes those parents take to social media to express their displeasure. Some of those posts are factual, and many are not. If you ever want clarification about something, please contact me. Remember, I was born and raised here, have tremendous pride in what we do, and treat the District and everyone in it like my extended family. We include every possible angle and resource to solve problems. At the same time, our students have outdone themselves with volunteer work, raising money for local charities, sick children, and their attendance at events and morale building activities has been through the roof. There are great projects going on in classrooms and our class of 2030 is rapidly taking shape! A quick run through my Twitter and other school twitter feeds along with our District Facebook page shows treasure after treasure of the cool things that are happening! Athletics Update: Congratulations to our girls' hockey team (combined with Skaneateles High School) for remaining undefeated and becoming Section III Champions. Congratulations also to our indoor track 4X400 Relay Team of Kendall Dombroske, Lauren Ferris, Kelsey Fox, and Carly Benson who are league champions with the best time in Section III. Also to Meg Delia who is the league champion in the 300 meter race. Be on the lookout for upcoming sports schedules and check out an event. We are making noise in the section and state in nearly all of our winter sports! Mary Poppins! 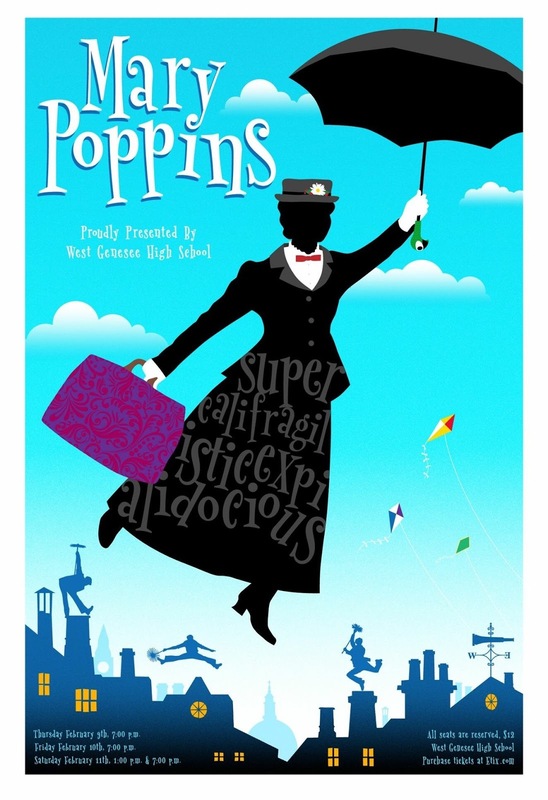 is Landing at the High School: West Genesee High School students will present the musical Mary Poppins!, at the high school auditorium. Shows are Thursday, February 9 and Friday, February 10, at 7:00 p.m., with 2 shows Saturday, February 11, at 1:00 p.m. and 7:00 p.m. Tickets can be purchased in advance at etix.com or at the door. All seats are reserved and are $12. You can also call the Ticket Call Center at 1-800-514-3849, extension 4. Tickets can be purchased at the door. All seats are reserved. There is a real energy surrounding this show so you should check it out if you can. Click here to read a full article about the musical and access cast and crew lists. Don't forget to start dialing the area code 315 before your phone calls starting on February 7! Thanks and enjoy the week!